The sprawling development stretches underneath the High Line to the east, where James Corner Field Operations and Diller Scofidio + Renfro are designing a street-level extension of the park above. Moving west from the new park, the BIG-designed pavilions will rise under the High Line. 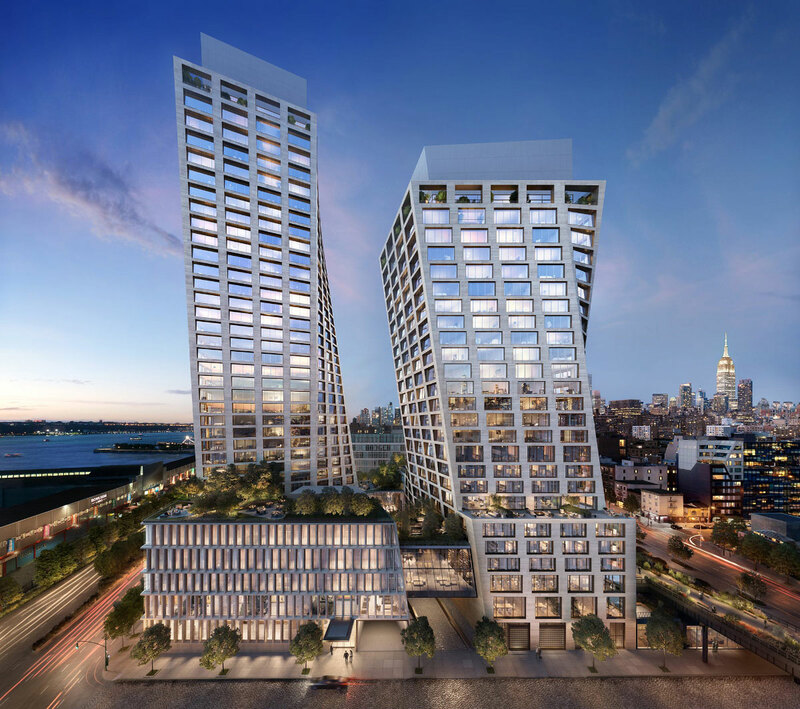 The two travertine-clad towers will rise on the western half of the development next to the Hudson River. At the westernmost edge of the site will be the taller of the two towers, at 400 feet tall and 36 floors, with 149 condos units designed by New York’s Gabellini Sheppard. For the interiors, the team has chosen a lighter material palette that emphasizes natural materials, such as oak flooring and white quartzite countertops. The smaller tower to the east, connected at its base with its neighbor via a glass skybridge, will only be about 300 feet tall and 26 stories. Everything after floor 11 is slated for condos, while the lower floors will hold a Six Senses hotel; the Paris-based interiors firm Gilles & Boissier are designing the interiors for both the residential and hotel sections, and will reportedly use a similar palette and style for both. Both towers noticeably twist in opposite directions as they rise, and the turns are intended to preserve views for occupants inside both buildings. To further improve the views, the western tower will expand as it rises and the eastern tower will taper as it nears the top. To cap it off, both of the condo buildings share matching glass crowns. 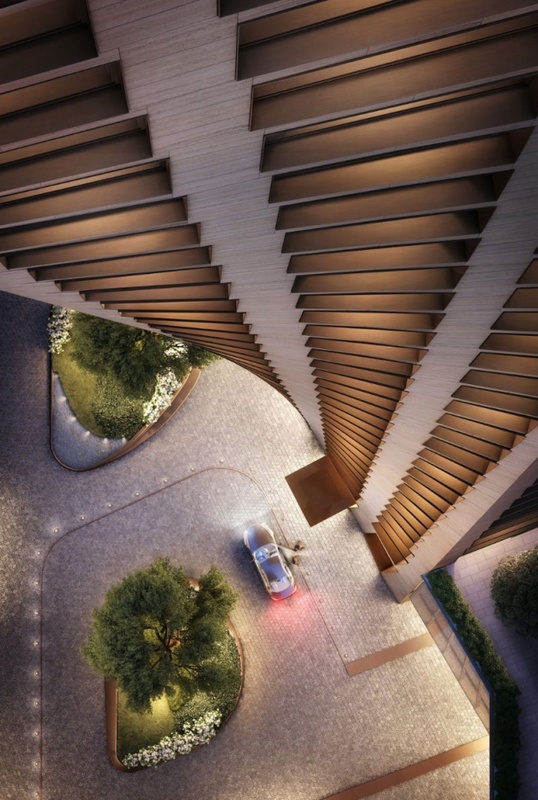 A shorter building is also planned for the site’s southwestern corner, with plans to turn it into an art space and Six Senses spa and club. Swiss landscape architect Enzo Enea will be designing a covered through-way for vehicles and a courtyard at the center between the two tower’s hemispheres. 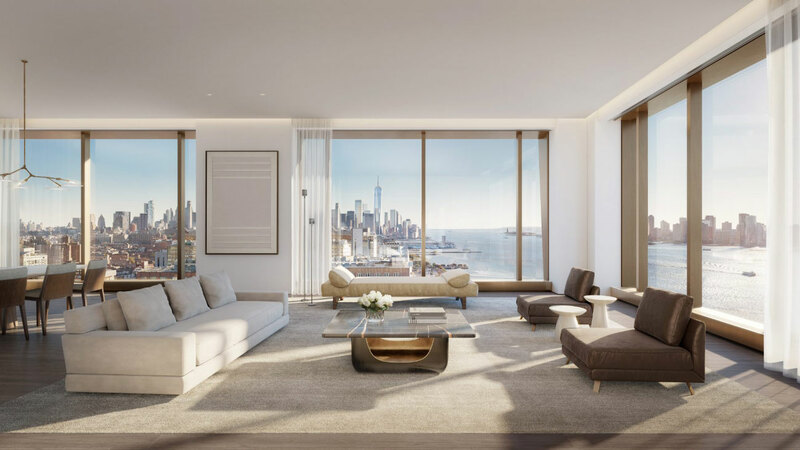 The amenities are consistent with the other luxury residential buildings going up along the High Line; future homeowners can expect access to a 75-foot-long pool, 4,000-square-foot fitness center, access to Six Senses, and a lounge and game room in the skybridge. 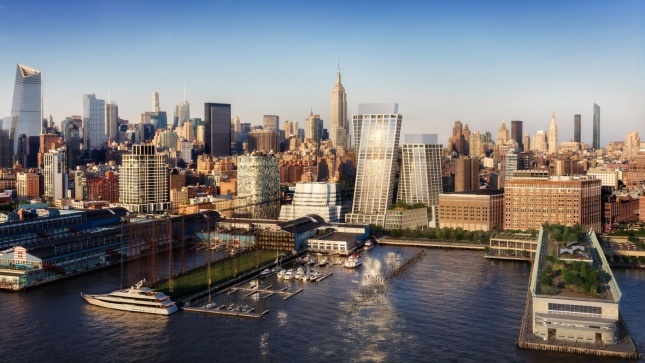 Once completed at the end of 2019, the complex will be among the tallest in West Chelsea.